Mulch can be your tree’s best friend. Proper mulching can encourage the growth and long-term health of your tree. • Helps protect your tree’s soil from the extremes of cold or hot temperatures. • Holds water to keep your tree’s roots ideally moist and reduce loss by evaporation. • Keeps the soil from being compacted. • Limits lawn mower damage. • Improves soil quality and fertility. • Prevents certain plant diseases. • Encourages aesthetics of your yard by having a uniform well-maintained look. Mulching essentially is helping your tree have a more natural experience. In the natural world, a tree’s roots are insulated by a healthy blanket of leaves, organic material, and organisms which renew these nutrients naturally. In more urbanized areas, the soil quality is greatly impacted, and trees can suffer greatly. Whether your home is in a city or otherwise, creating a 2-4-inch layer of organic mulch can simulate a more ideal natural setting which will improve the health of your plants. A little mulch goes a long way! • As with many good things, moderation is still key. There is no benefit to doing more than the recommended 2-4 inches of mulch for your plant. There are detrimental effects on your plant from improper mulching. • Organic mulch must gradually decompose. If too much mulch is placed, the decomposition process can become out of balance. • If mulch is too deep, it can hold too much moisture and cause root rot. • If mulch is piled up too high, it can cause stem problems as well as open your tree up to disease, insects, or even rodent’s gnawing teeth. • If mulch has a high fresh grass content in the mix, left unprocessed, it can impact the soil’s pH and deplete vital nutrients in the soil. • If the mulch is too thickly blanketed, it can limit the water and air which gets to the soil. 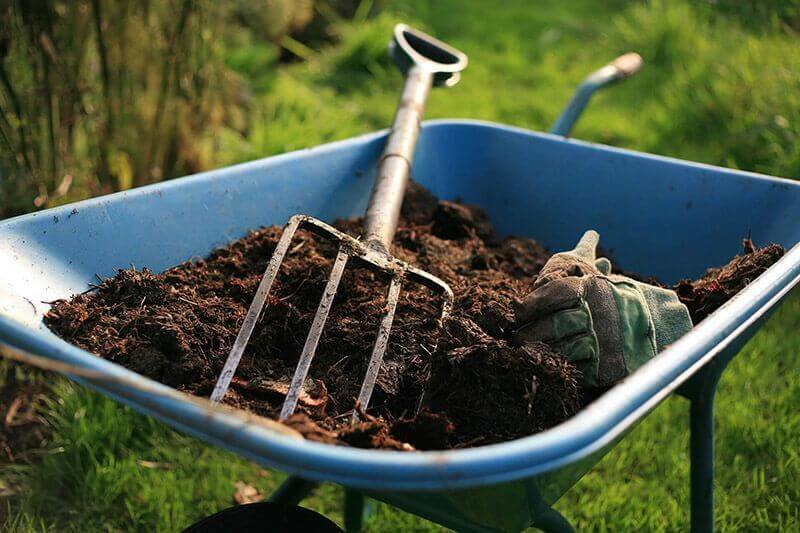 • If mulch sits too long without proper decomposition, vile smells can start to emit as well as alcohols and acids can form which can easily kill off a young or weak plant.